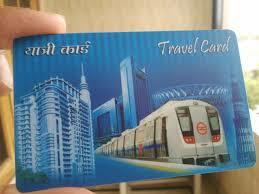 Noida: There will be a different ticketing system for soon-to-be-made operational Aqua Line. This line will also have a different security set-up as well. Commuters will not be able to make use of their Delhi Metro card while traveling on this line. Besides this, there will be no interchange between the Sector 71 Station on the Aqua Line as well as Sector 52 station on the Blue Line extension in Noida. This arrangement will stay put with no change in the near future. Officials at Noida Metro Rail Corporation (NMRC) managing the 29.7km Aqua Line strongly feel that the interchange between the Aqua and Blue lines will not be a smooth affair. More so once the Aqua Line is open to the public. As per latest news, tickets issued for Aqua Line by NMRC will not be valid for commuting on Blue Line. This will true for those traveling on Blue Line too. This clearly means that those traveling to Delhi to Greater Noida will have to purchase different tickets for both the lines. Not just a ticketing system, even security checks will be different. Those come from Delhi will have to pass through security checks as there is not common paid area or open space. P D Upadhyay, executive director, NMRC plans to have an open card system for Aqua Line. This card will double up as a debit card which can be used for in bus, tax as well as malls. It will be one metro smart card with multiple usage points. Upadhyay shared that they want to go with the theme ‘One city, One card’. A concept used by new metro projects like Kochi Metro and Nagpur Metro. The main reason for employing a common card concept is in keeping with the new metro policy. The new policy mandates use of common mobility card. NMRC also offered Delhi Metro Rail Corporation (DMRC) help to upgrade their systems. Upadhyay shared that unfortunately, DMRC has not responded positively to the request. DMRC is yet to comment on the same.